No, your eyes aren't deceiving you. This is not a Mustang. Hang on a minute! There was a crash at a Cars and Coffee event and it didn’t involve a Mustang? 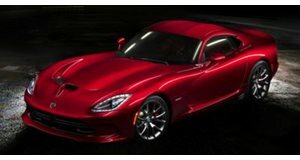 Having previously investigated the phenomenon that is Ford Mustangs crashing at C&C events, it makes for a refreshing change to see a Dodge Viper, and not a Stang, lose its back end and tailspin into a tree. The accident went down in Knoxville, Tennessee, where a well-placed bystander was able to capture the humiliating event from close range. The video begins with the white Viper accelerating down the thruway. Almost immediately the car loses control, and seconds later is left crushed and crumpled in the median of the road. Pictures of the car show the extent of the damage to the front and rear passenger side fenders, the suspension and axles look like they’re toast, and there’s a very good chance the car is a write-off. Whether the Viper is salvageable or not, the owner is gonna regret the day he tried to impress a bunch of complete strangers one caffeine-fueled spring morning.